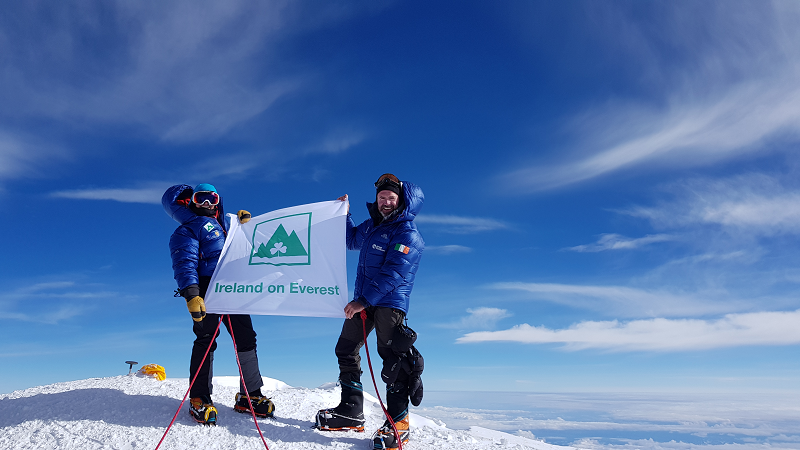 Shay Lawless, team member of ‘Ireland on Everest’, is aiming to climb to the summit of Mount Everest in May 2019. Shay and teammate Jenny will be ably guided by Noel Hanna, an Irish adventurer who has climbed Everest eight times and became the first Irish person to successfully climb and safely descend K2 in 2018. To offer our support to Shay and mark this wonderful display of courage, strength, determination and good will, the School of Computer Science and Statistics will hold a coffee morning on Wednesday 20th February, running from 10.30 a.m. to 12p.m.in the O’Reilly Institute, Trinity College Dublin with all proceeds going to Barretstown. We asked Shay to tell us more about the climb and what drew him to Barretsown? How are you raising funds for the climb? “We are raising funds for the expedition through corporate sponsorship, philanthropic funding and crowdfunding (https://sponsor.me/IrelandonEverest). 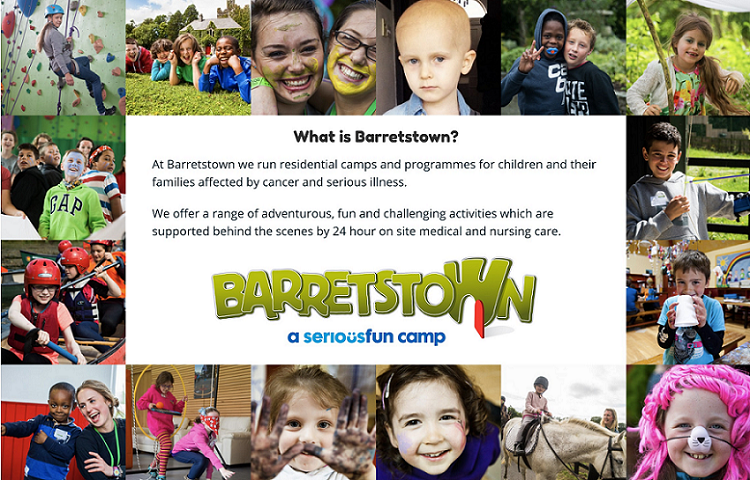 Anything we raise above and beyond our expedition costs through these three routes will go directly to Barretstown. In parallel we are also running fundraising events where 100% of the money raised goes to Barretstown, like this coffee morning (Barretstown Fundraising - https://give.everydayhero.com/ie/ireland-on-everest-barretstown). “I am a member of ‘Ireland on Everest’ (http://irelandoneverest.ie/), an Irish mountaineering team aiming to climb to the summit of Mount Everest in May this year. Two of our team are climbing this year - Jenny Copeland and I. Jenny is a physiotherapist and is mother of four, from Drumree, Co Meath. We will be guided on Everest by Noel Hanna, an Irish adventurer who has climbed Everest eight times and became the first Irish person to successfully climb and safely descend K2 in 2018. When will you set out on the journey? What is your biggest driver in this project? What is the training schedule like? Tell us about the ‘Day Shay’ and the ‘Out of Office’ Shay! “I'm an Assistant Professor in the Artificial Intelligence discipline in Trinity College Dublin’s School of Computer Science and Statistics and also the Director of the MSc in Computer Science. In the SFI (Science Foundation Ireland) ADAPT Centre (https://www.adaptcentre.ie/) I am Associate Director, with responsibility for Non-Exchequer research funding. All of my research has a strong user focus, and aims to improve the experiences of users when interacting with and consuming content. I work primarily in the areas of Personalisation and Information Retrieval. I also work on a number of Digital Humanities projects, investigating how people search for and consume information, particularly in Cultural Heritage contexts. Currently, I am Co-PI on Beyond 2022 an IRC project which aims to digitally recreate the Public Record Office of Ireland, destroyed in 1922.” (https://beyond2022.ie/)." I was born and raised in Bray, Co. Wicklow - close to the hills! I love sport, particularly football, rugby and GAA, and support Everton, Leinster, Ireland (in everything! ), Wicklow... the list goes on :) I have a young daughter Emma, who demands a lot of my time for her hectic social life, with GAA, dancing, gymnastics etc. The rest of the time I try to spend out in the mountains! We wish Shay every good luck on this most challenging adventure and look forward to the follow up interview on his return. Please spread the word about the coffee morning to your colleagues, friends and acquaintances and through your social media channels. Wednesday 20th February 10.30 a.m. to 12 p.m.
Posted by: Catherine O’Connor, Head of External Relations, School of Computer Science and Statistics, Trinity College Dublin 2.